There is much that could be said about the relationship between the religious icon and secular image-management. 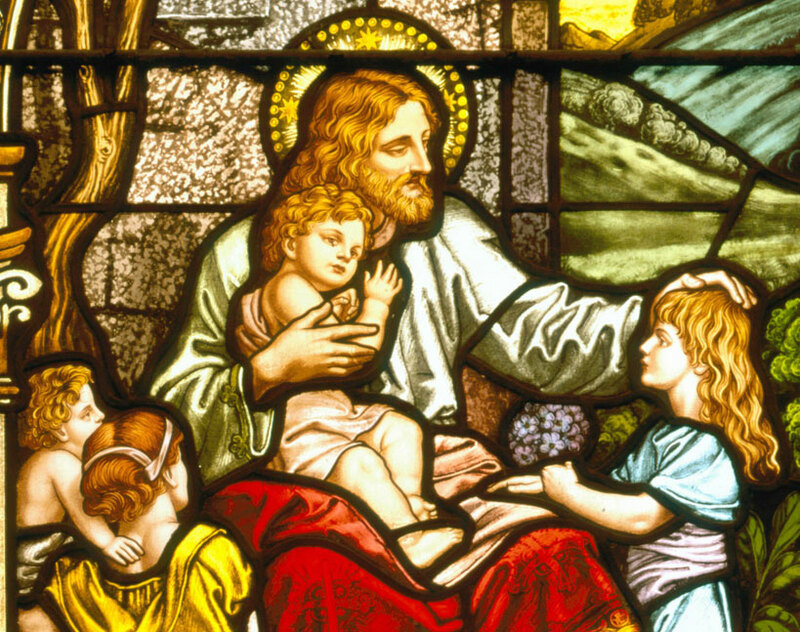 Let me just note two things: First, there is no indication in the story that Jesus posed with the children. As Mathew tells it, “he laid his hands on the children, and went his way.” Second, the point of the story is not that Jesus liked kids or that they liked him. No, the story is about gatekeeping. To say that “the Kingdom of Heaven belongs to such as these” meant that no one was barred from that Kingdom because they lacked status or power. In welcoming the children–and rebuking those who would keep the weak, dependent, or socially inferior out of sight–Jesus was upending the hierarchies that structured that society. 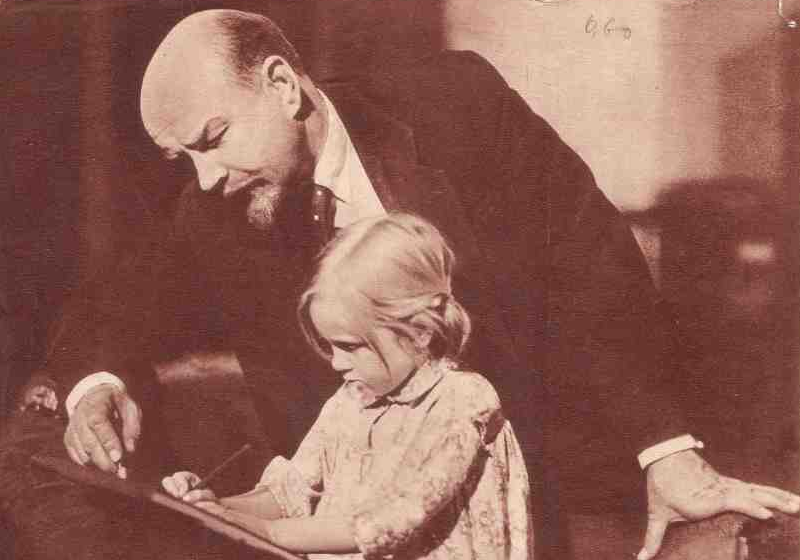 That idea has been forgotten when kids can become props for sham displays of compassion by cynical rulers. Photographs: pool photo; Charles Dharapak/Associated Press; back cover of ”Darba sieviete” magazine, # 1, 1940. Stained Glass window from Our Lady of Mt. Carmel Roman Catholic Church. My reading of the Biblical text is indebted to Albert Nolan, Jesus Before Christianity. The quoted text is from the New English Bible. 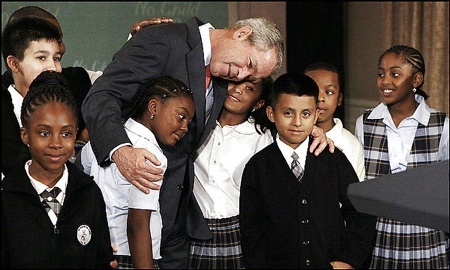 All of which remind me of he photos of Bush allegedly reading to schoolchildren while WTC burned.